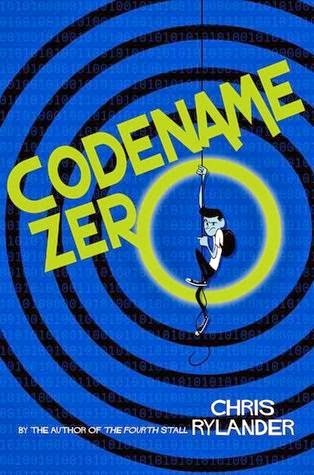 Middle grade spy novels are huge--ten and eleven-year olds would love to be more powerful and equipped for every situation with gadgets and skills. Since that isn't the case, they get to live vicariously through literary spies. Loot, the Alex Rider series, and The Double Cross have all been popular titles in my class this year. 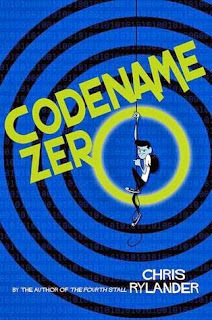 Codename Zero is the latest spy novel to hit our shelves. Carson is the school prankster who is suddenly in over his head. After a chance encounter, he's suddenly a member of a spy organization. His North Dakota town suddenly isn't so sleepy as he battles enemies and helps his friend evade capture. My students aren't experiencing any "spy fatigue," they'll love this novel. It doesn't get much more aspirational than a prankster whose alter ego is a spy. It's less humorous than The Double Cross and about as intense as Loot. Sure to be a hit with the kids who are waiting for the next big mystery to solve.